On November 6th, Latino Americans will have the opportunity to participate in the shaping of our government. The road to our country’s recovery and prosperity hangs in the balance, especially for our children. Latinos have historically not voted and many members of the Republican party have undervalued the impact of the Latino vote. But our presence as a national voting force in 2012 will either make or break, strengthen or cripple, our economic survival and position to flourish under the next administration. Everyone must take ownership of the presidential election. For prosperity’s sake, we must vote in mass and let no one ever question the power and influence of Latinos in America. We reached out to prominent Latinos in Hollywood and Sacramento and asked them why this election was of great importance to them. My mother and I were part of the three million “illegal immigrants” granted amnesty in the United States in 1986 under the Immigration Reform and Control Act passed by President Ronald Reagan. Although controversial, this act did make my mother’s American Dream come true. It opened the door for us to proudly become citizens of the United States through the naturalization process. I believe my mother’s deep gratitude for this life-changing opportunity led her to affiliate herself with the Republican Party. And since I was way too young to understand what it meant to be a Republican, I too, by default for many years, called myself a Republican. Growing up, I didn’t know much about what it meant to be a Republican or a Democrat and forget about even knowing about the Independent party. I didn’t find out about that until college! Somewhere along the lines of being a wee child who was unable to make decisions for herself and becoming a college-educated woman, I changed my voter registration card to Democrat. As for my Republican mother, one of my most vivid and beautiful memories I have is of the two of us voting for the democratic presidential nominee during an election year. She too began to educate herself about politics and decided to also make a change more fitting to her beliefs and values. But what I find most touching about that memory is that two magnificent women, not born in this country, had the right to vote. I will always have a soft spot in my heart for the late President Ronald Reagan because he gave me the gift of citizenship. This gift has allowed me to live my American Dream and I was the first in my family to graduate college. I followed my dreams to become an actor in Hollywood and, at every election, I make sure my voice is heard – I vote. So, this November 6th, you will proudly see me wearing my “I Voted” sticker and I will proudly say once again: I voted for President Barack Obama. I don’t have faith in the two party system anymore. They are two sides of the same corporate coin (pun intended) that has strangled democracy into submission. 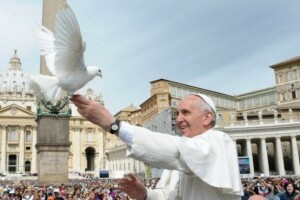 They have two seemingly different directions that meet up at the same destination across the globe: a new world order. The top elites secretly create the chaos that they then purport to be the only ones capable of fixing. Then you have two competing factions of the same entity campaigning for the job. At the end of the day, you might as well have elections between the Bush siblings. One moderate and the other not so much but Papa Bear (or his backers) still runs the show. Like mobsters who break your shop windows to then cynically offer “protection,” I find it’s all a scam. More and more people are waking up to it, but sadly not enough right now to make a third party viable in any major elections. However, despite the negative aspects of American politics; if we show up and get counted, no matter who you vote for, we let the rest of our fellow Americans know that we’re here, we’re serious and we’re paying attention. No longer should we sit idly by and allow ourselves to be taken for granted or profit alone but taken seriously instead. If we start to act with a common consciousness and one voice we will be heard loud and clear. We just need to identify, if possible, the right leadership or simply heed the right and relevant messages. And even if the elections are stolen (which is most probably the case)… make them work harder than ever to do so. 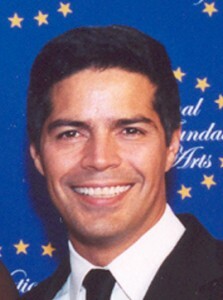 – Esai Morales is an actor, activist. I realized he was right.I promptly became a citizen and voted for the first time in my late 30′s. One of my voting highlights was when I went with my daughter as she voted for the first time at age 18. I took pictures and all…it was a momentous occasion. The great thing is, my daughter understood from a very young age, the importance of voting, she learned by the example set by her parents. She makes sure to read up on the issues and cast an informed vote. That is where I see the future. Our children. It is our responsibility to show them the importance of voting. Latinos are on track to be 30% of the U.S. population by 2050. Think of the political power we can have, if we all saw the importance of voting. Typically only 10% of Americans vote for a variety of reasons — because there’s a lot of lack of trust in our leaders, a lack of positive feelings about political institutions, a lack knowledge about the issues or candidates…or they are simply more interested in who the next American Idol will be than in our future. The excuses are many. However, like my husband said, if you don’t vote you can’t complain. If you don’t vote, you give whoever is elected by others to look after their interests, not yours — because you were just too busy to care to speak up. You are now forced to play by the outcome. So don’t complain – Vote. Not until YOU decide that your opinion and voice matters — will your opinion matter to anyone else. –Bel Hernandez Castillo is CEO and President of Latin Heat Media LLC, Publisher of Latin Heat Magazine, a Film, TV, Theatrical Producer and Executive Producer and Co-Host of KCAL9-CBS2 HOLA! LA. 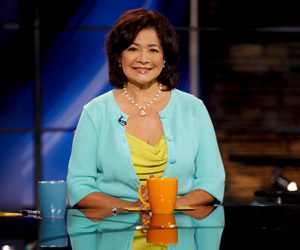 She is also an ALMA and Imagen Awards recipients and one of the authors of “8 Ways To Say I Love My Life,” a book and award winning theatrical production. As a young girl growing up in a politically active family, I understood the importance of taking part in the electoral process. I watched my parents study candidates and ballot measures; it was a real tradition in our family to get excited when the postman delivered the Election Guide. My father always said, “In life you must do three things: graduate from college, be a good neighbor, and never forget to vote.” I had my marching orders before I could drive. On my 18th birthday, my parents didn’t do anything grandiose. Instead, they drove me to a local supermarket where a voter registration drive was in full swing. I registered as a Democrat and felt an immediate sense of pride. In 1992, I voted in my first election. President Clinton was on the ballot as was my father who was running for mayor in Sacramento. Both candidates won and I took full credit – my vote was the one that got them into office. My story is unique. Many (if not most) 18-year-olds don’t live in political households, but “the times they are a changin’.” Our Latino youth are more engaged than ever and politicians know it; that’s what scares them most. As a culture, Latinos are fighters by nature. History has shown us time and time again that Latinos have a strong voice especially where oppression and poverty exist. My father along with my tia and tios sacrificed their lives for the Chicano movement. 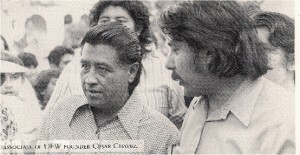 In the 1960′s, they joined the United Farm Workers and Cesar Chavez on picket lines because they were outraged. Fast forward to the 2012 election season and it’s time for Latinos, especially our youth, to step up and turn the tide. We deserve great schools, comprehensive health care, and the right to become citizens. We are on the brink of a major shift in the Latino community and it begins with our votes during this election. 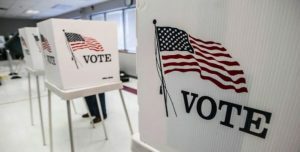 According to votolatino.com, 50,000 Latinos turn 18 every month allowing for a movement of nearly 600,000 new Latino voters every year. This election year, most candidates, whether at the national or local level, are salivating over the thought of capturing the Latino vote. Despite our large numbers, segments of Latinos remain non-voters and somewhat unengaged. I spoke to a few Latino college students about the 2012 election and most of them told me the same thing: Latinos – both young and old – don’t vote for many reasons, but mostly because our community doesn’t have a leader that looks like them, sounds like them, or who has a real understanding of Latinos and their needs. I agree. Two days away from the election, this is what I know: across the United States 6.6 million Latinos are registered to vote (lulac.org). 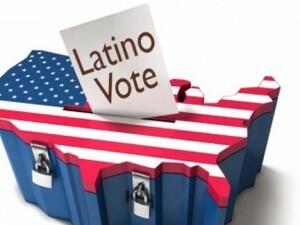 Latinos MUST participate in the 2012 election; we must take part or get taken apart. Latinos should never underestimate their power in politics. Latinos must take a stand, make their voices heard, and fight for the next generation. Please do your part and cast your ballot on November 6th. – Lisa Mayorga is a community activist and Spicy Cilantro blogger, writer who is passionate about education and public service. She lives in Sacramento with her husband Edgard and children, Andres (13) and Emilio (10). Yes, it is true. The majority of Latino voters who will participate in this year’s Presidential election will vote for President Barack Obama. 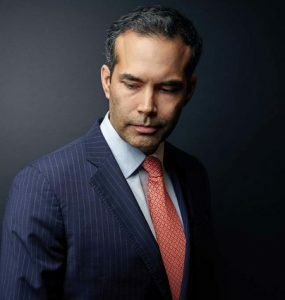 However, most will not vote for him because he has been good for Latinos, they will be voting for him because most Republicans have alienated Latino voters (more than the president). 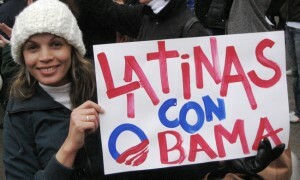 Like many other Latinos, I supported Barack Obama’s election in 2008. It was not about electing the first President of color. I was moved by his speeches that promised a much brighter light if we elected him to lead the free world. As an independent voter, I studied both his and Senator John McCain’s messages to see which would better serve the Latino community. It was obvious, Obama was a cut above. President Barack Obama has been a disappointment for Latinos in his policies and broken promises that once stirred support and a passionate drive for change in the 2008 Presidential election. The country had never been more divided with partisan politics playing a key role in how Latinos, documented or undocumented, are perceived. Had the President kept his promises and demonstrated true leadership by standing up to racist attitudes toward Latinos and addressing the undocumented worker issue in a more prompt and humane level, support for his reelection would currently match or exceed what he experienced in 2008. I was present at the 2008 National Council of La Raza annual convention in San Diego, California where Obama promised that immigration reform would be a priority in his first year as President. Instead, his immigration policies of the last 4 years have resulted in the largest number of undocumented Latino deportations, many occurring without due process, which separated thousands of families. Some have argued that it hasn’t been the President’s fault. Really? The Department of Homeland Security is under his rule and he appointed former Arizona governor Janet Napolitano who established and implemented the most cruel and inhumane approaches to deportation. In many cases, children had to be placed in foster homes or left with a single parent to care for them. So why did Obama wait to take action until it was time to run for reelection? This year, as an olive branch to the Latino community, Obama offered a policy to protect the millions of undocumented children (under the age of 30) who were brought here by their parents. The “temporary stop-gap measure” gives them an opportunity to avoid deportation if they self-identify themselves. The problem with that policy is that the Department of Homeland Security will know where these children are and, if the policy is not extended (beyond two years), they will be deported. Governor Mitt Romney is no saint either, making it clear he would deport all undocumented residents, including children, unless they entered the military. Unfortunately, they are not his policies as much as they are the Republican Party’s policies. Unless real Latino leadership in the U.S. stands up to the winner of this year’s Presidential campaign, we can expect more of the same. –Adrian Perez is CEO of POP-9 Communications which publishes numerous online publications on politics, economics, the arts, and opinion. The dishonest aspects of American politics are alarming and give us all the more reason not to surrender the wheel. When Latinos vote, it raises our entire country’s awareness of the Latino community as a more edified and empowered demographic. For every vote, heads turn much the same way the Latino 1 trillion spending power drives corporations, brands, and politicians back to their marketing plans to make sure they find favor with us. Numbers are the impersonal, irrefutable gods of our business, economic, and political cultures. The former president was talking about how to pull ourselves out of debt and return to a surplus but let’s first understand who is at the core of all things measured and weighed — when you vote, you are representing much more than yourself and you are impacting a time period far beyond the the next twelve months. In the twenty-first century, Latinos are shedding their traditionally passive voting habits. The evidence of how greatly Latinos factor both on the ballot and in filling out their ballot is clearly visible. Today, we see a budding movement among young Latinos who are rallying leaders (primarily democrats) to support their educational and future employment goals — you’ve undoubtedly noticed that the Dreamers are being heard. Latinas, who represent one of the the fastest growing sectors in Hispanic business (according to Latin Business Today), are endorsing candidates who author and vote for legislation that supports their business interests. “We’ve transformed a terrible crisis into a stable and durable recovery. To state otherwise is to wage war on the facts. We’ve erased all of the private sector job losses since the president took office and added 1.2 million new jobs. Our recovery depends on building a strong and educated middle class that creates enough demand for the private sector to keep adding new jobs.” Hilda Solis, Secretary of the U.S. Department of Labor spoke to both group’s concerns in her November 2, 2012 statement. What matters is that the Latino community continues to advance in their educational and advocacy processes all the way to the polls. “Voting is the most precious right of every citizen, and we have a moral obligation to ensure the integrity of our voting process.” –Hillary Clinton. Our opinions, beliefs, and values are so varied it is a mistake to try to lump “Hispanics” into one bowl of thinking. One thing is for certain, no matter who wins the office of the president, the Latino vote matters. Like every citizen, “in every voting booth their vote has as much weight as that of any CEO, any member of Congress, or any President.” — Barbara Boxer. Latinowood for Latin Heat. All Rights Reserved © 2012.